Updated: Nov. 28, 2018, 5:16 p.m.
Flowery Branch kicked off its monthly block parties in May by going back in time with a Mayberry theme, then the town made a stop in Stars Hollow, Connecticut, with a ‘Gilmore Girls’ theme in July and adopted a Halloween theme in October. As the year comes to an end, so will the block parties for 2018, and the downtown riding out on the Polar Express. 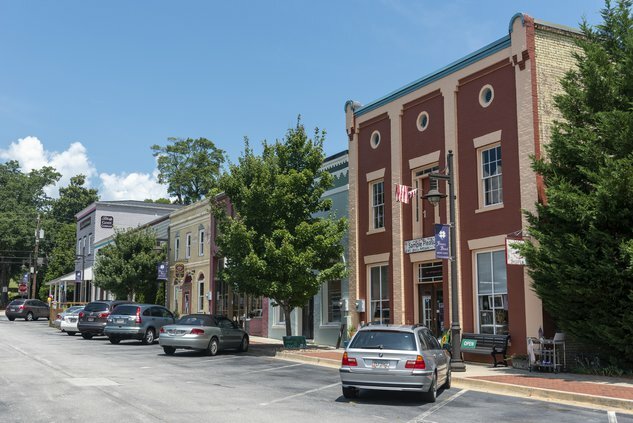 The final block party of the year is planned for 5-9 p.m. Friday, Nov. 30, on Main Street in Flowery Branch. The event is free to the public. The ‘Polar Express’ block party will offer up all the Christmas activities you need to check off your list before the holiday. There will be free photos with Santa Claus at the train depot and activities there too for the kids while scenes from the “Polar Express” movie play in the background. Visitors can even enjoy the town’s version of the Polar Express as M&R Trackless Trains takes them around the downtown area. There will also be a holiday marketplace with vendors offering different gifts ideas for you to take home. There will be plenty of food and drink, too. The block party will feature barbecue, burgers, hot dogs, Tex-Mex and carnival foods, including with boiled peanuts and even glow-in-the-dark cotton candy and caramel and candied apples. Beer Me, a craft beer shop that opened at the beginning of the month, will be serving more than 25 craft beers, local wines, mulled wine and root beer for the kids. The town Christmas tree will be lighted at 6 p.m.